What makes Millbrook special to you? The Annual Fund supports it! 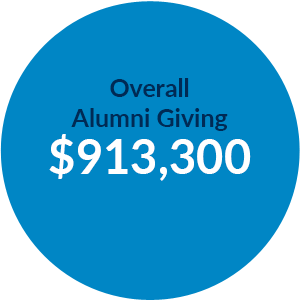 Through the support of alumni, parents, and friends of Millbrook, 2017-2018 was an extraordinary year for the Annual Fund, once again exceeding the previous year's total and setting a new record at $2,285,423. We are most grateful to all who helped Millbrook School reach this significant milestone and to those who continue to support the school, its unique mission, and its students, faculty and programs. We aim to build on the school's momentum and progress to secure an ever brighter future and to establish yet another record for the Annual Fund in 2018-2019, meeting or surpassing our goal of $2,300,000. 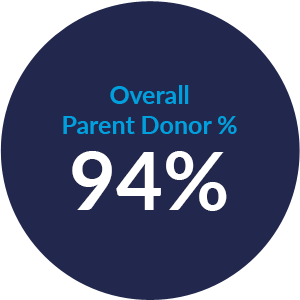 Each year parents, alumni, parents of alumni, and friends are asked to make charitable gifts to Millbrook’s Annual Fund. These contributions supplement tuition income and enable the school to meet its annual operating expenses, comprising approximately 12% of the operating budget. This year tuition covers only 75% of the actual cost of a student’s education at Millbrook. Thus every Millbrook student benefits from gifts to the Annual Fund and receives a hidden financial aid award of approximately $8,000. This amount is the difference between tuition and the true cost of educating each student. What kinds of expenses does the Annual Fund underwrite? The Annual fund directly supports the essentials and the extras and provides the margin of excellence that we all associate with Millbrook’s faculty, program, and plant. Faculty salaries, financial aid, maintenance of the plant, the community service program, forum speakers, visiting artists and musicians, athletic uniforms, officials and transportation, art materials, and professional development opportunities for the faculty are some of the many programs which are greatly affected by the magnitude of the Annual Fund. Why not raise tuition so that it covers 100% of the operating budget? Charging the “full” tuition would put a Millbrook education out of the reach of many qualified students and would create a very homogeneous population. The diversity represented by the student body is an important aspect of the Millbrook community that the school values and seeks to preserve. In order to continue to provide opportunity for students from many different cultural, social, and economic backgrounds, it is necessary to find a fair way to counter increasing costs without significantly raising the tuition. Voluntary giving to the Annual Fund is an equitable way to counter rising educational costs and it is, unlike tuition payments, tax-deductible. First, participating in the Annual Fund to the best of your ability is one of the most meaningful ways to show support for Millbrook and the people who make a difference. Second, the Annual Fund ensures quality in all that Millbrook is and does. It secures the current educational experience that we as alumni, parents, and friends of Millbrook have come to value and respect. Millbrook students deserve the best education that we can provide. 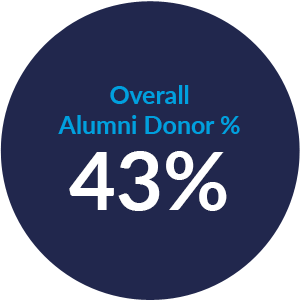 Third, foundations and major donors who Millbrook approaches for capital projects put a high premium on the percentage of participation among alumni and parents to the Annual Fund. Generous and widespread support indicates to them that “the customers are satisfied” and the school is worthy of their investment. Generations of families offering their financial support have helped shape the Millbrook we know today. We hope you will help us carry on that responsibility and ensure the quality of a Millbrook education for our current students as well as those to come.